Hide this Dealer (Girish Agrawal) Discover properties by other dealers by hiding those whom you have already spoken to. You won't see them in your searches further but you can unhide anytime later. Merlin Group new residential property Jabakusum is located at S.N.Roy Road (Close to New Alipore) in Kolkata. Merlin Jabakusum will be a Ground plus 11 storied complex and a architectural masterpiece from the Merlin Group. Merlin Jabakusum is a synergic assembly of every necessity that urban life longs for. Merlin Jabakusum pledges to present the ultimate satisfaction to you and your family. Enveloped by the flamboyant cityscape and yet nurturing a blissful serenity within itself, Merlin Jabakusum seeks to fill your heart with a sublime ecstasy. What is the project location?The project is located at Behala, Kolkata South. What size of flats are available in Merlin Jabakusum? The apartment sizes in the project vary from 1201.0 sqft to 1948.0 sqft. 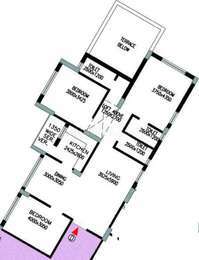 What is total area of 2 bhk in Merlin Jabakusum? The area of 2BHK units in the project varies from 1201.0 sqft to 1311.0 sqft. 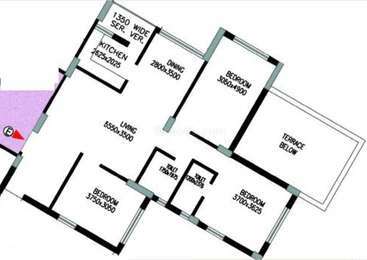 What is total area of 4 bhk in Merlin Jabakusum? 4 BHK units in the project are available in a size of 1908.0 sqft to 1948.0 sqft. What is the price of 3 bhk in Merlin Jabakusum? 3 BHK units in the project are available at a price tag of Rs. 15000000.